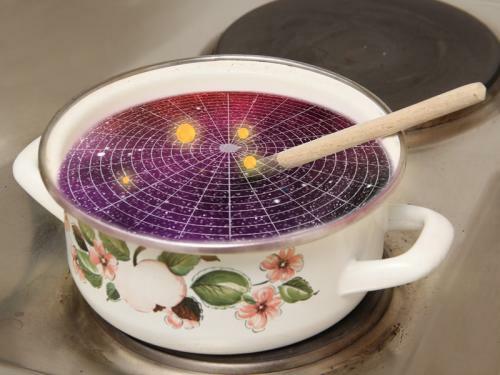 Recipe for a universe: Apply heat and stir. When soup is heated, it starts to boil. When time and space are heated, an expanding universe can emerge, without requiring anything like a “Big Bang”. This phase transition between a boring empty space and an expanding universe containing mass has now been mathematically described by a research team at the Vienna University of Technology, together with colleagues from Harvard, the MIT and Edinburgh. 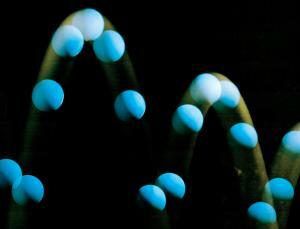 The idea behind this result is a remarkable connection between quantum field theory and Einstein’s theory of relativity. Everybody knows of the transitions between liquid, solid and gaseous phases. But also time and space can undergo a phase transition, as the physicists Steven Hawking and Don Page pointed out in 1983. They calculated that empty space can turn into a black hole at a specific temperature. Can a similar process create a whole expanding universe such as ours? Daniel Grumiller from the Vienna University of Technology looked into this, together with colleagues from the USA and Great Britain. Their calculations show that there is indeed a critical temperature at which an empty, flat spacetime turns into an expanding universe with mass. “The empty spacetime starts to boil, little bubbles form, one of which expands and eventually takes up all of spacetime”, explains Grumiller. For this to be possible, the universe has to rotate – so the recipe for creating the universe is “apply heat and stir”. However, the required rotation can be arbitrarily small. In a first step, a spacetime with only two spatial dimensions was considered. “But there is no reason why the same should not be true for a universe with three spatial dimensions”, says Grumiller. Our own universe does not seem to have come into existence this way. 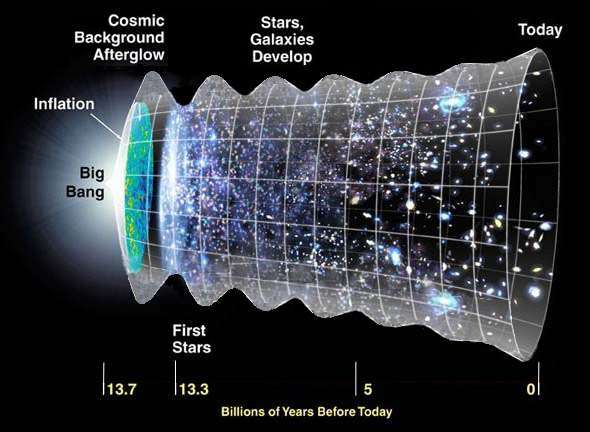 The phase-transition model is not meant to replace the theory of the Big Bang. “Today, cosmologists know a lot about the early universe – we are not challenging their findings. But we are interested in the question, which phase transitions are possible for time and space and how the mathematical structure of spacetime can be described” says Grumiller. The new theory is the logical next step after the so called “AdS-CFT correspondence”, a conjecture put forward in 1997, which has strongly influenced fundamental physics research ever since. It describes a peculiar connection between theories of gravity and quantum field theories – two areas which, at first glance, do not have much in common. In certain limiting cases, according to AdS-CFT correspondence, statements from quantum field theories can be translated into statements concerning gravitational theories and vice versa. This is almost as surprising as the idea of making statements about a stone falling to the ground by actually calculating the temperature of a hot gas. Two completely different areas are being connected – but it works. In this kind of correspondence, the quantum field theory is always described in one fewer dimension than the gravitational theory. This is called “holographic principle”. Similar to a two dimensional hologram which can depict a three dimensional object, a quantum field theory with two spatial dimensions can describe a physical situation in three spatial dimensions. To do this, the gravitational calculations usually have to be done in an exotic kind of geometry – in so-called “Anti-de-Sitter-spaces”, which are quite different from the flat geometry we are used to. However, it has been suspected for a while, that there may be a similar version of the “holographic principle” for flat spacetimes. But for a long time there haven’t been any models showing this. Last year, Daniel Grumiller and colleagues established such a model (in two spatial dimensions, for simplicity). This led to the current question; phase transitions in quantum field theories are well known. But for symmetry reasons this would mean that gravitational theories should exhibit phase transitions too. “At first, this was a mystery for us”, says Daniel Grumiller. “This would mean a phase transition between an empty spacetime and an expanding universe. To us, this sounded extremely implausible.” But the calculations showed exactly that. “We are only beginning to understand these remarkable correspondence relations”, says Daniel Grumiller. Which new ideas about our own universe can be derived from this, is hard to say – only spacetime will tell. OUR universe rose from the ashes of a dying cosmos, thanks to a push from a ghostly force. So says a model supporting the idea that the universe was born not with a bang, but a bounce. What’s more, the theory would do away with the popular notion that the infant cosmos rapidly ballooned in size during a period called inflation. The earliest light emitted in the universe, the cosmic microwave background (CMB), dates to about 380,000 years after our cosmic birth. Oddly, it is roughly uniform everywhere we look. This would not be the case if the universe grew up slowly from a single burst. Far-flung regions of the sky should have developed very differently because they were not in contact with each other. 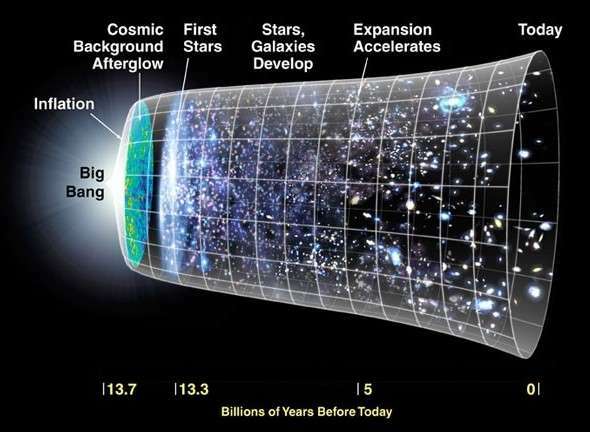 The most widely accepted explanation is that the universe went through a period of rapid expansion in the first slivers of a second after the big bang. This inflation would cause cosmic evenness, because spots that look similar today would have been in contact initially, before suddenly getting shoved apart. Quantum fluctuations in the very early cosmos would have seeded large-scale structures like galaxies ….. The idea that the universe is lled with the thermal radiation now termed the Cosmic Microwave Background was rst discussed in eleven publications in the year 1948.
er a detailed example of the process of development of a new and now very productive line of research, and of the confusion that can attend new ideas. The confusion in this case left a common misunderstanding of the considerations that motivated the idea of the sea of radiation.